Home News trending! change my network to 5g! change my network to 5g! 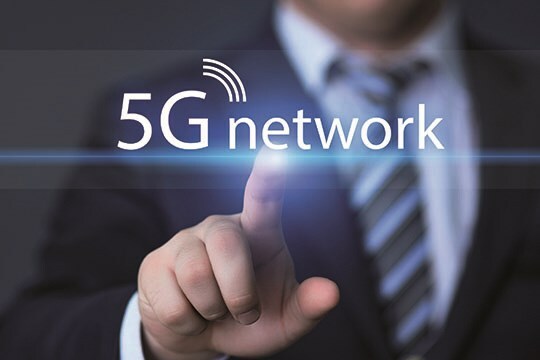 While India finds its way around 4G, in some parts of the world the conversation has moved up a notch to 5G. And this was clear at the Intel Developer Forum in San Francisco, where the chipmaker tried to paint a picture of what the 5G world might look like. As it turned out, it wasn’t just about a faster Internet. For the consumer it will mean ultra high data speeds (upwards of 20GBPs), ultra low latency, and new devices and form factors. But behind all this will be mobile edge computing with serious processing power being added to base stations. The network will have no option but to transform. If 4G is driven by video, 5G will be driven by the Internet of Things. And that means the network will have to be intelligent enough to understand how to allocate its resources, a capability it does not have at the moment. It will need to figure out that it is the self-driving car that needs a fraction-of-a-millisecond response every time — and maybe not the toaster. So, it will have to be content-aware, user-aware and location-aware. Any lack of context would mean wastage of precious bandwidth, as the service runs the chance of allocating more bandwidth where it isn’t required. It can also not afford to be neutral when it comes to data, as that could again lead to wastage. The neutrality will have to be limited within “swimlanes”, but not all use cases. Regulatory frameworks will also need to evolve to keep pace with this change. Base stations might move to drones or balloons to ensure that the Internet of Everything is also the Internet of Everywhere. This new revolution will take access to connectivity and, through it, access to knowledge to vast sections of the population, and entire geographies that have been cut off so far. The drones might initially act like the post service, downloading content to a location at a regular predestined interval, and uploading all the pending data there. Internet in these cases might not really be real time. Everything from the farm that produces food to the refrigerators that store it will be connected. Even by conservative estimates, we are looking at some 50 billion connected devices by the end of 2020. To put that in perspective, there are over 15 billion connected devices in the world at the moment, according to rough estimates. And this 50 billion will not include the billions of sensors that will be reporting on everything from body temperatures to water levels in rivers. Of course, all this isn’t happening in a hurry. With countries like India struggling even with 4G, the 5G world is at least a few years away for most countries. However, it will be easier to achieve for countries like South Korea and Japan who have mature 4G networks and ecosystems. Also, the 5G environment cannot be created by any one company or group of companies. It will need concerted efforts by almost all tech companies, service providers and governments. One of the first challenges will be in setting up a universal standard to ensure that everything is communicating in the same language.